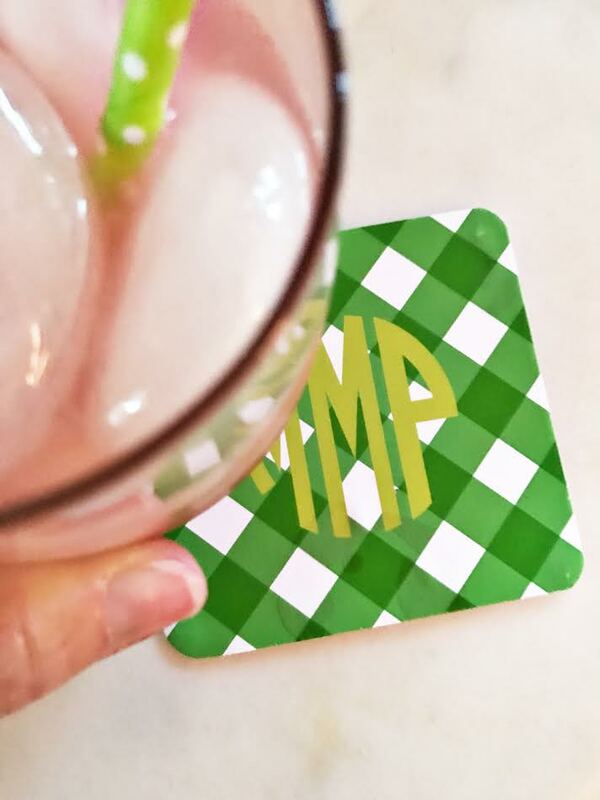 As you know one of my favorite things to host is happy hour. It can be a quiet evening for myself and Lawyer or it can be a gathering of besties, I love to host my loved ones with food and drinks. I have perfected my choices for a smaller group of people vs a large group which requires a whole lot more thought. Who doesn't love an intimate gathering? It makes for a wonderful time of catching up and quality time. When we were in Sea Island I popped over to Savannah for the afternoon for a photo shoot. While I was there I snagged two amazing platters that we are using on repeat. They are the perfect size for a small gathering and the patterns are truly so darling. I love the size of the trays along with the fact that they are melamine which helps me in case I become klutzy which happens a lot. I am not a graceful girl. They are the ideal size at 10 x 13.5 inches which allows for just enough nibbles for up to four people. For a larger group obviously you would need more than one. 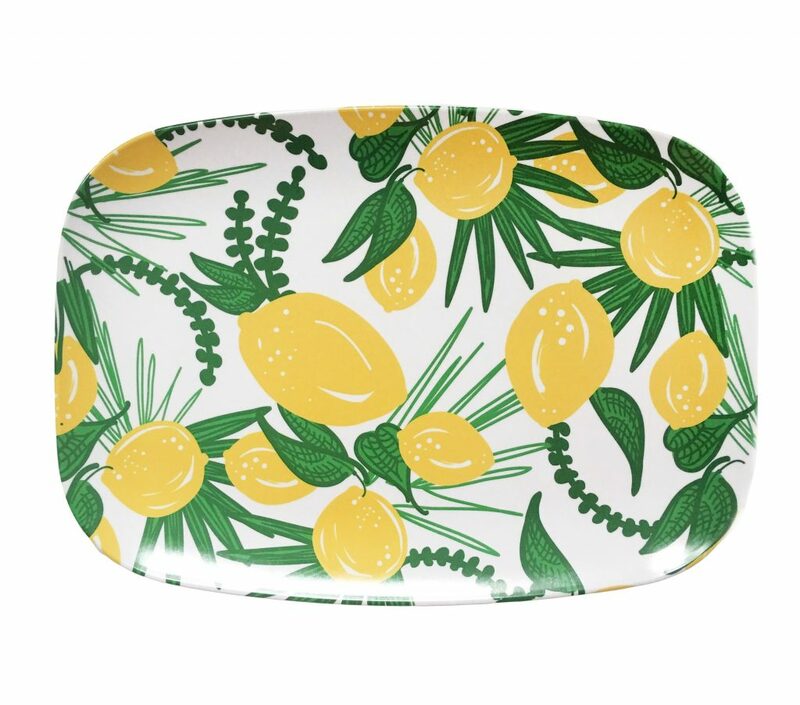 I have both the Lowcountry tray and the Limoncello tray. Aren't they darling? I need to grab a few more for gifts ... the Oyster pattern is another favorite of mine. I have noticed I tend to pick the same ingredients time and time again as I have perfected a pair of happy hour nibbles plates. I seem to gravitate towards a more salty version and then a more sweet option depending on who is coming over. Since Lawyer tends to like a more salty spread with meat and cheese I set a different one for him than I would if my girls were coming over. He loves pimento cheese and that is a perfect compromise since I don't eat the salami and pepperoni he would love to see. My favorite pimento cheese is Proper Pepper and I love both versions but Lawyer's favorite is the Get Back Jack. Once you try Proper Pepper the other brands just aren't the same, it truly is the best! Along with the cheese I love to add pickles, nuts, jelly (for me), crackers and some fruit. My favorite combination is the one above with the exception of adding in some fun jelly. 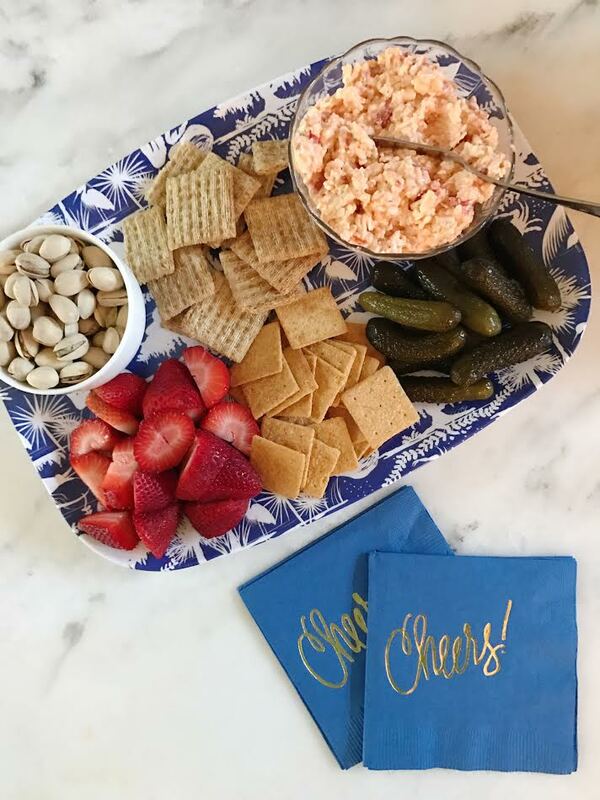 I love pimento cheese with jelly ... it is so good! We love pistachios and they are not only yummy but fun to eat. I love a Wheat Thin but Lawyer loves a Triscuit so we need both. Marriage is definitely all about compromise. On the evenings we share a nibble plate above I am set for the evening. A yummy drink, some quality time and I am one happy girl. When the girls come over the spread looks very different. Scratch the salt and meats and add in some fun sweets. I love brie, probably more than I should so you will see this one a lot at my house. Add in fruit, jelly, crusty bread and my favorite cheese crisps and I am one happy girl. This evening I added nuts and it was the perfect addition. When the girls get together and the kids are in tow we will order pizza for them as they play for hours and we catch up. It is always a good time. I have tried quite a few cheese crisps and these from Merry Cheese Crisps are hands down my favorite. They are always the first thing to get eaten and I am always refilling the bowl. They are not only so yummy but truly so cute. I always have them on hand to be able to pull them out and serve them. 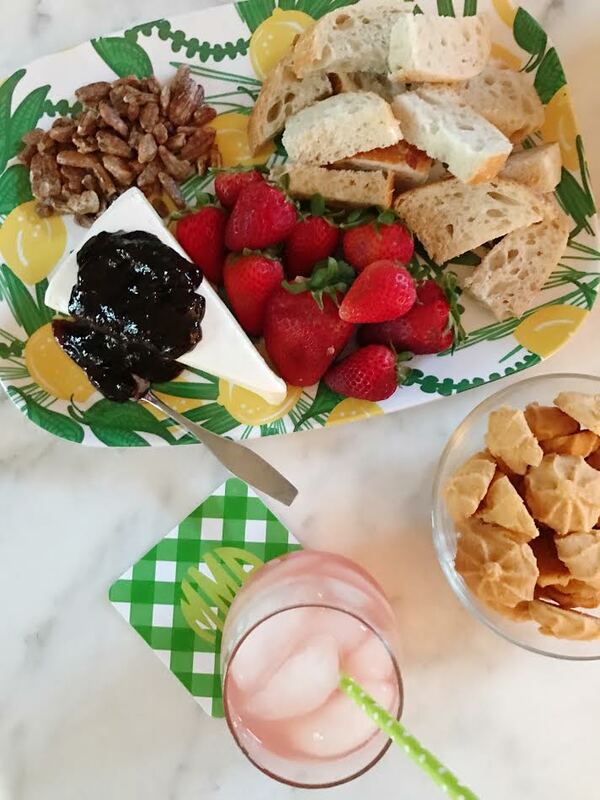 Even if someone just pops over for a quick chat they are ideal for pairing with grapes and a glass of sweet tea. 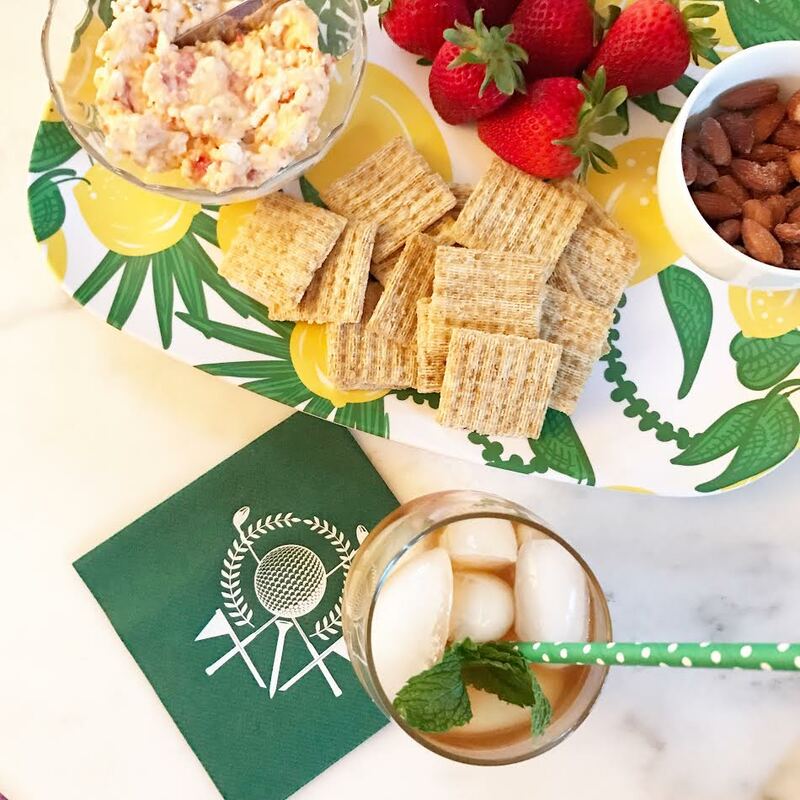 All of these yummy pictures have me dreaming of Friday afternoon and some quality time with my girls. I need to make that happen immediately. If you need some fun cocktail suggestions make sure you check out the Crafted Cocktail series. Three of them have aired and one more is coming soon. 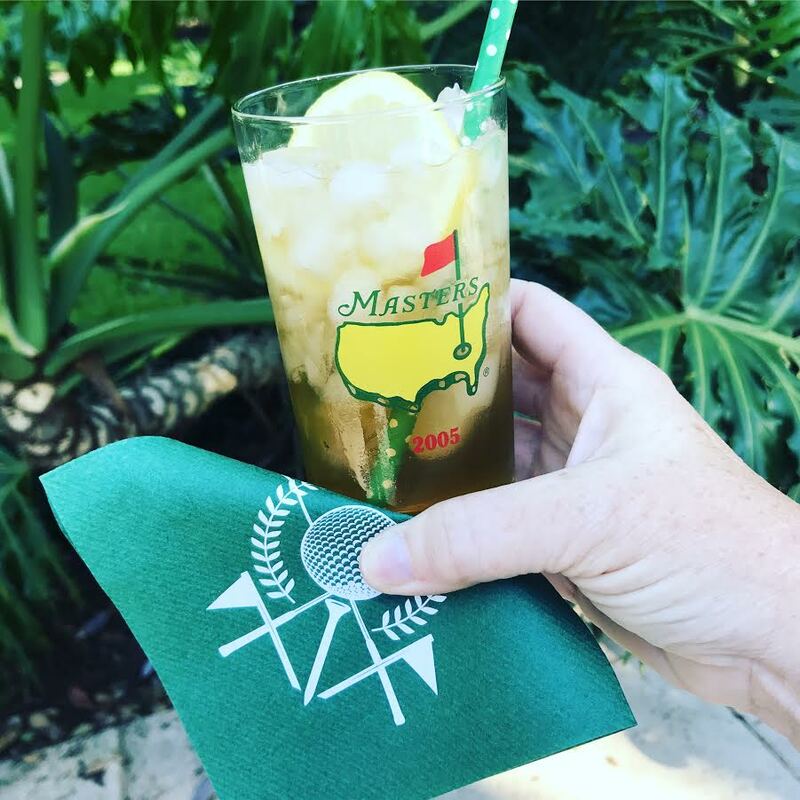 I love all the drinks but I think I am truly partial to this one since it takes me back instantly to our perfect week in Sea Island. Great post, Paige. You simplify what for some can be a daunting undertaking. Love both of those platters and the spreads on them!!!! It is porch party season - these will be on repeat at our house too. Cheers! 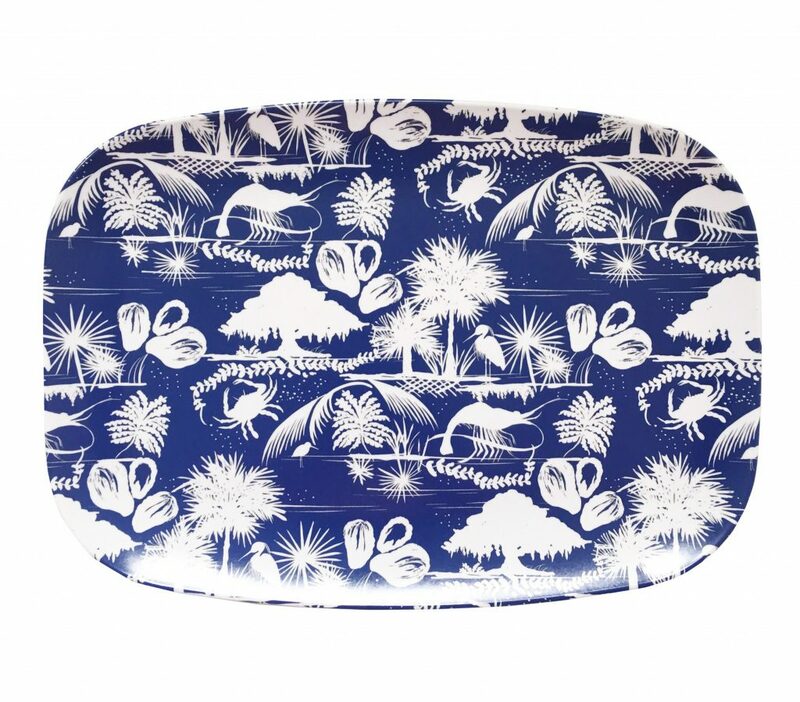 Those trays are darling! I tried Proper Pepper last year on vacay at SSI, it truly is the best. Sadly, here in Auburn I can't get it but I will stock up come July when I get back to the Golden Isles!